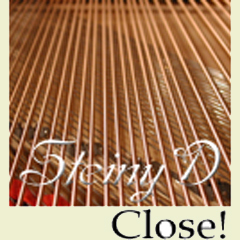 Home > Grand Pianos > Steiny D Close! Based on the samples recorded during the Black Grand session. A Steinway D Hamburg Grand Piano - By most pianists considered THE Grand Piano! For "Steiny D - Close!" The Steinway was miked, yes, close! Giving it a very distinct, clear and full sound with very little ambience, making this sampled piano very suitable for live situations. "Steiny D - Close!" has 32 samples/recorded note to give it excellent dynamic response.